To assist with planning for catering and administration for the 2018 Spring Fly-in, as well as ensuring we cover all event costs, we are requesting members register their attendance and assist with covering events costs via a small event registration fee of $10 per person attending. Pre-payment of this and dinner tickets is required to ensure all costs for the event are covered by those attending. This year's Spring Fly-in and Annual General Meeting of the AAAA will be held at Temora in NSW on the weekend of 8 and 9 September 2018. 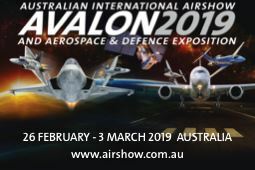 This is a non-flying weekend for the Temora Aviation Museum so we won't be competing for airspace or tarmac with their operations but the museum will be open and is not to be missed. Our AGM will also be being held this weekend and we encourage any members keen to nominate for Committee to talk to existing members about what's involved in helping run and manage your association. An event registration fee of $10 is payable per person attending the Spring Fly-in to cover costs associated with running the event (bus service etc.) and is payable separate to the Saturday evening dinner ticket if you are not attending the arranged dinner at the Temora Bowls Club (see details below). The AGM will be held in conjunction with an organised dinner at the Temora Bowls Club. Dinner tickets are $35 per person for a 2 course buffet dinner (main & dessert). The dinner will commence at 7PM with the AGM being held between mains and dessert at 8PM. The Annual General Meeting will be held at the Temora Bowls Club and will commence at 8PM. For those not attending the organised dinner, an area will be made available for you to be seated for the AGM. If you are unable to attend the AGM and wish to nominate a proxy to vote on your behalf, please complete the attached form and submit via email to secretary@antique-aeroplane.com.au or mail to PO Box 285 LARA VIC 3212 by Friday the 7th of October. If you wish to nominate for a position on the Committee, please complete the attached form and submit via email to secretary@antique-aeroplane.com.au or mail to PO Box 285 LARA VIC 3212 by Friday the 7th of October. Sunday 9th September: 8AM, 9AM & 10AM. SkyFuel will once again be supporting the Antiquers at Temora with a roaming fuel truck from Friday afternoon through Sunday morning. As always, we encourage everyone to refuel on arrival or on the completion of your local flying and not leave it until the last minute on Sunday morning. We are pleased to offer discounted (half price) entry to the Temora Aviation Museum, please present your current membership card at the Museum shop when purchasing your entry tickets.